Flush mount jack and plate. Fits all standard modular phones. 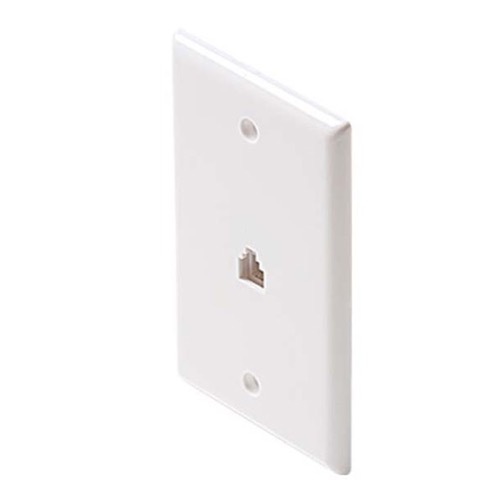 Installs in standard electrical box to replace or add a flush mount, modular wall jack. Tools required: flat head screwdriver, wire cutters. Disconnect one phone in house by removing handset from hook before working with exposed phone wire. Loosen terminal screws on jack. Attach wire leads by color to corresponding pre-wired terminals screws. Tighten screws, making sure wire leads are not in contact with each other.